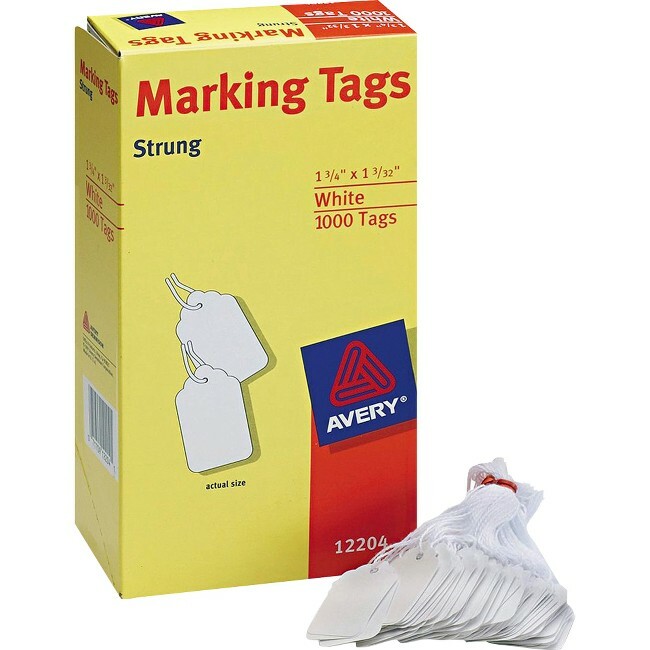 Strung marking tags offer a smooth surface for writing to make it simple to label items with important information. Ideal for marking prices, sizes, ownership or other features for sale or storage. 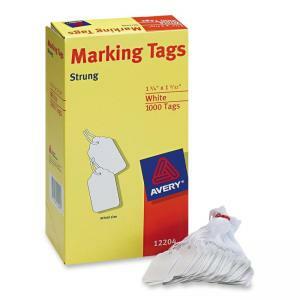 Cardstock tag is durable for long-lasting use. Knotted twine lets you add and remove tag easily without tying knots. Twine is made of a blend of cotton and polyester.